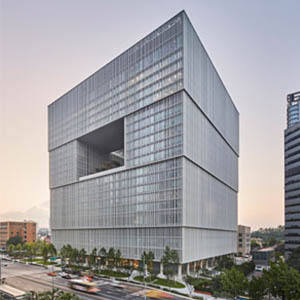 CTBUH Names 2019 Best Tall Building Worldwide, Among 20 Other Award Winners! The Salesforce Tower project team pictured with their Best Tall Building Worldwide trophy. From left to right: Edward Dionne, Pelli Clarke Pelli Architects, Paul Paradis, Hines Interests LP, Ron Klemencic, Magnusson Klemencic Associates, and Best Tall Building Jury Chair Karl Fender, Fender Katsalidis Architects. 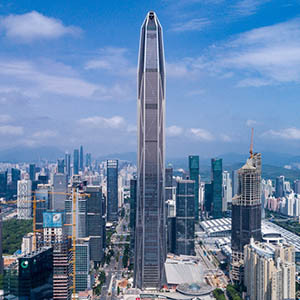 SHENZHEN – The Council on Tall Buildings and Urban Habitat (CTBUH) is proud to announce the Best Tall Building Worldwide and Category Winners of the 17th Annual CTBUH Awards Program, which competed for winning distinctions at the 2019 Tall + Urban Innovation Conference from April 8–10 at the Grand Hyatt Shenzhen in Shenzhen. 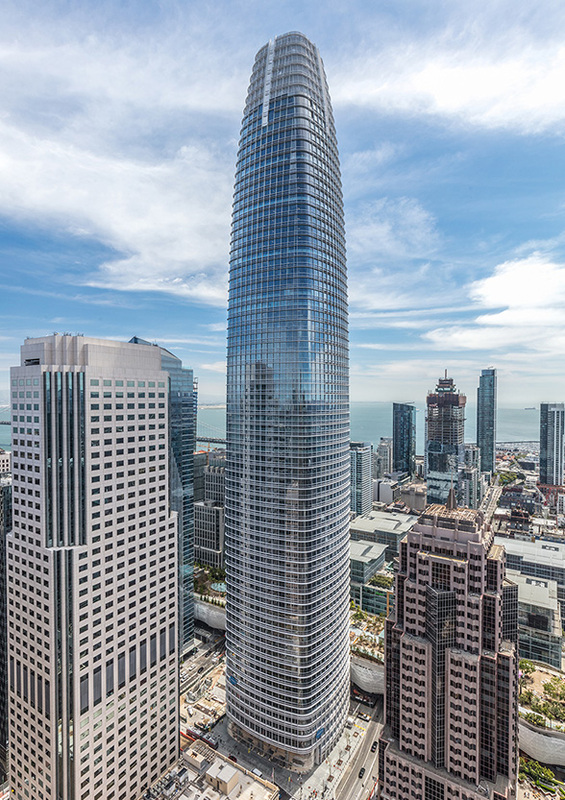 The CTBUH Awards Jury has named Salesforce Tower (San Francisco) the “Best Tall Building Worldwide,” in addition to recognizing the winners of 20 individual award categories. The Best Tall Building Worldwide was chosen from several height range categories including Best Tall Building under 100 meters, Best Tall Building 100–199 meters; Best Tall Building 200–299 meters; Best Tall Building 300–399 meters and Best Tall Building over 400 meters. 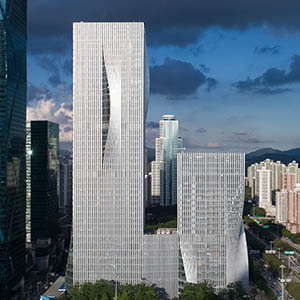 These buildings were also eligible for functional category awards, including Best Tall Office Building; Best Tall Residential or Hotel Building, and Best Tall Mixed-Use Building. 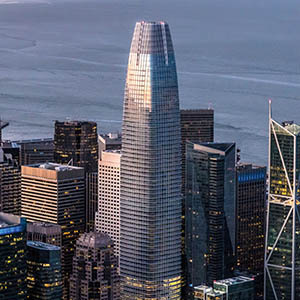 Described by Best Tall Building Jury Chair Karl Fender, Founding Partner, Fender Katsalidis Architects, as a “building that gives back,” Salesforce Tower was recognized for its multipronged focus on occupant health, sustainability, structural efficiency, and a significant level of integration with the surrounding urban habitat. The building stands as the centerpiece of a new transit-oriented, mixed-use neighborhood recently freed up for development following the demolition of an aging transit center. The result is not just a contribution to the city skyline, but a highly successful exercise in human-centric and resilient design for tall buildings. 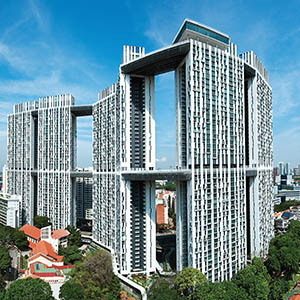 In addition to the Best Tall Building category winners, a number of other award recipients were recognized at the conference, including The [email protected] (Singapore) for the 10 Year Award; Atira La Trobe Street (Melbourne) for the Construction Award; Viscoelastic Coupling Damper (VCD) for the Innovation Award; Kampung Admiralty (Singapore) for the Urban Habitat Award – Single Site Scale; Central Park (Sydney) for the Urban Habitat Award – Master Plan Scale; Amorepacific Headquarters (Seoul) for the Interior Design Award; and CHAO Hotel (Beijing) for the Renovation Award. This year’s event honored the most award categories in CTBUH history, adding five distinct engineering categories. The winners of the Engineering Awards included Azrieli Sarona Tower (Tel Aviv) for Façade Engineering, Morpheus Hotel & Report at City of Dreams (Macau) for the Fire & Risk Engineering, 181 Fremont (San Francisco) for Geotechnical Engineering, Britam Tower (Nairobi) for MEP Engineering; and 181 Fremont (San Francisco) for Structural Engineering. In all, the category winners were chosen from a group of 65 Award of Excellence Winners representing 20 countries and 33 global cities. The CTBUH Tall Building Awards are an independent review of new projects, judged by a prestigious panel of experts. The Awards aspire to provide a more comprehensive and sophisticated view of these important structures, while advocating for improvements in every aspect of performance, including those that have the greatest positive impact on the individuals who use these buildings and the cities they inhabit. All projects recognized in the CTBUH 2019 Awards Program, including Category Winners and Award of Excellence winners, are featured in the second edition of the Tall Buildings + Urban Habitat series. 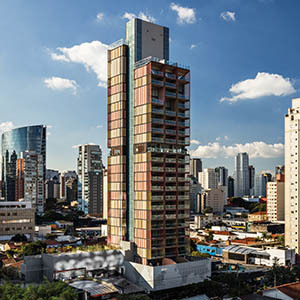 A response to growing residential demand of a prosperous upper middle class in São Paulo, Forma Itaim stands out with its variety of façade treatments, featuring a vibrant color-coated terracotta cladding and a perforated aluminum double-skin. By elevating the external layer of the façade, the entrance level opens up to the city and draws the public into a generous atrium. 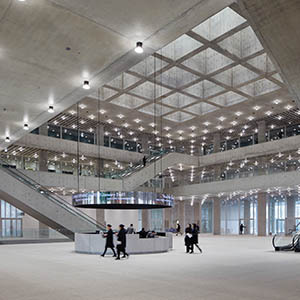 A rich mixture of public amenities – from art museum to auditorium, library and restaurants – connect this headquarters tower to its urban context. Enclosed in a finely attuned skin for its subtropical climate, the façade oscillates between transparency and opacity, reducing solar gain for occupant comfort and efficiency. The north and south towers are linked by an eight-story podium housing the main lobbies, commercial areas, conference centers and a cafeteria. Standing as the tallest building in San Francisco, this tower pushes new limits in both its performance as a leading-edge office tower and its robust seismic design, while establishing significant connections to the surrounding urban habitat. 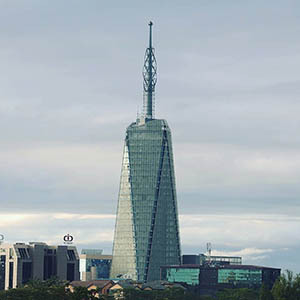 Located in Shenzhen’s new central business district, the Ping An Finance Center is the city’s tallest building. 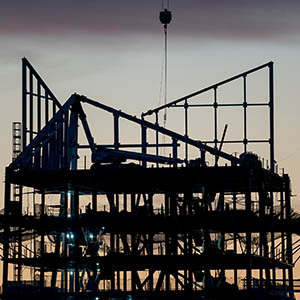 With more than 100 floors of office space and a large podium with retail and conference space, the project also connects to neighboring commercial and residential properties and public transportation. This project represents the European Patent Office’s largest single investment in its 40-year history in the Netherlands. 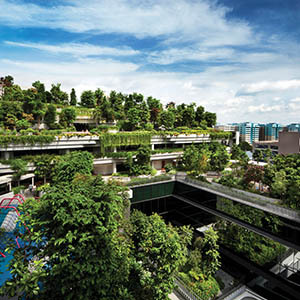 Built under BREEAM standards and BNB standards, an array of photovoltaic solar panels on the roof sky garden provide a source of renewable energy while a double-skin façade houses hanging gardens. 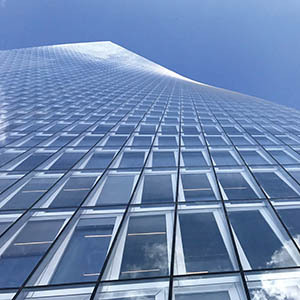 Transparency, glass, and expansive views are the defining characteristics of the building. To generate a uniform floor plate and units of the desired size, the building is cantilevered over an existing five-story brownstone. A vertical village that contains senior apartments, a community plaza, medical center, and an urban farm, this prototype for land-use intensification is aimed specifically at an aging society. This integrated public housing development blends transit adjacency, commercial services, and thoughtful urban design to provide a forward-looking success story in human-focused design amid a dense urban environment. 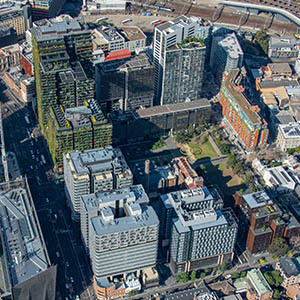 Injecting new life into a former brewery site, this self-contained urban village incorporates 11 buildings, more than two thousand residential apartments, over a thousand student dwellings and two daycare centers, all gathered around an expansive urban park. 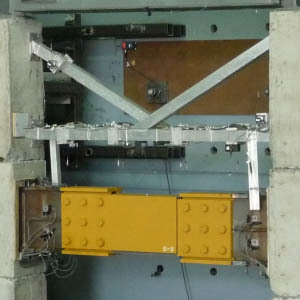 By fitting into wall planes, the distribution of these dampers eliminates the need for a mass damper occupying valuable floor space near the top of a building, effectively protecting tall buildings against both wind storms and strong earthquakes. The renovation of the Beijing City Hotel preserved the original building structure while introducing a modern glass-reinforced concrete envelope, expressed as a dynamic zig-zag. Façade elements alternate between light-grey GRC and glass panels, resembling a Chinese folding fan, establishing a strong visual identity. Its central atrium is a clean and spare essay in concrete, conveying a sense of refinement fitting for South Korea’s largest beauty company. Dramatic punched openings create skygardens throughout, and other amenities including a library and a public art museum further draw in foot traffic. 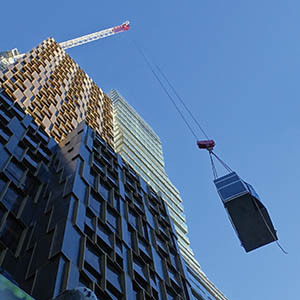 Prefabricated, interchangeable components make for fast and efficient construction and “lock” into place once assembled, offering exceptional structural stability and ease of fit-out at one of the world’s tallest prefabricated student accommodation buildings. 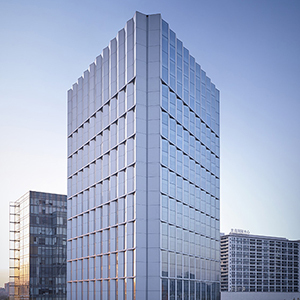 Due to an innovative seismic design process, including a lateral force-resisting system, this tower can achieve immediate re-occupancy and functionality once utilities are restored following a 475-year seismic event, far exceeding code standards. A strategic balance of rainwater harvesting, ventilation strategies and passive heat mitigation strategies saved 39 percent on energy and 50 percent on water use compared to a typical building. 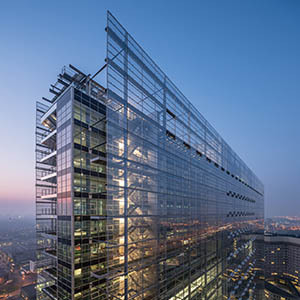 The “veil” façade solution – consisting of 50-millimeter-square ceramic rods in front of a full-height glass curtain wall with “selective” glass, let in significantly more light than heat. 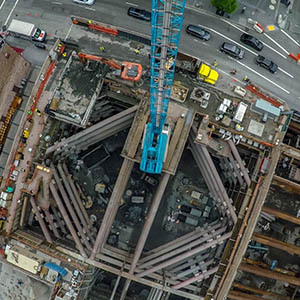 Meeting the challenge of a highly seismic and complex geologic environment head-on, 42 shafts were drilled more than 75 meters into bedrock, helped to reduce the amount of structural steel needed for this tower to resist earthquakes by 25 percent. 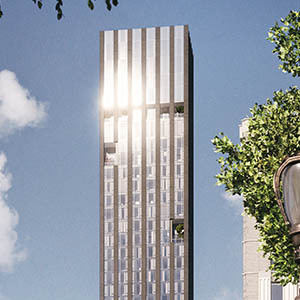 The juxtaposition of the two layers of a double-skin façade creates a dramatic façade design, while its precise engineering strategy, intended to cut blazing heat, saves 27.5 percent more energy than the baseline requirement. 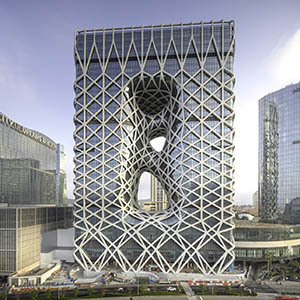 With a twisting geometric façade punctuated by three holes, this hotel delivered a fire engineering challenge. To ensure effective fire suppression, four layers of sprinkler lines were installed on different levels of the spectacular atrium. 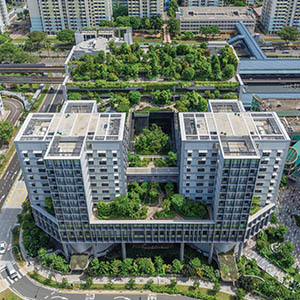 The 12 sky gardens at this seven-tower complex function as an extension of the living environment for residents, forming almost one hectare of new land – in the sky. Further, the orientation of the towers creates urban windows that frame the city skyline, eliminates overlooking between units and optimizing views.